What is cosmetic dentistry? Despite the name, it’s not all about looks: Cosmetic dental treatments boast both aesthetic and wellness benefits for your smile. The benefits of cosmetic dentistry are twofold: By straightening and repairing teeth with cosmetic dentistry treatments like FASTBRACES®, dental bonding, and teeth contouring, you are not only improving the look and appeal of your smile, but also your teeth’s cleanliness and susceptibility to tooth decay and gum disease. Of course, many patients simply enjoy cosmetic dentistry for the confidence boost! Teeth whitening: Want a quick smile update? Try teeth whitening. The benefit of whitening is that it provides an instant, inexpensive, and beautiful boost to your smile with minimal time commitment. Treatment is non-invasive. There are two primary options for teeth whitening: in-office treatment, which delivers results in just an hour, or at-home treatment with professional whitening gel and trays from your dentist. Both deliver great results with convenience. Bonding and contouring: Bonding and contouring are techniques that can be used to enhance the shape of your teeth. Bonding adds to your tooth, to fill in cracks or gaps, or to extend the length so teeth appear more linear. Contouring refines the tooth shape, filing away a small portion of your tooth to shorter its height or minimize overlapping. FASTBRACES®: This new form of braces transform your teeth fast. How do FASTBRACES® work? 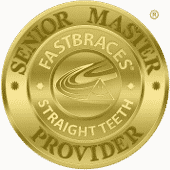 Using an innovative bracket and single-wire system, FASTBRACES® move both the crown and the root for faster results. Cosmetic dentistry treatments make your teeth more beautiful, so you can confidently smile with pride. There are dental health benefits too: Filling in spaces between teeth, repairing damaged teeth, or refining overlap all prevent plaque and tartar build-up in crevices susceptible to tooth decay and gum disease. These treatments can make it easier to keep your teeth clean to prevent disease. If you want to improve the appearance of your smile, you’re not alone. Millions of dental patients undergo treatments every year to perfect their smile and boost their confidence. It’s natural to want a beautiful white smile, which is perceived as healthy and attractive in our culture. The added bonus: Perfecting your teeth can make them healthier, too. Consider scheduling a consultation to learn more your options for cosmetic dentistry treatments in Anna, TX and the surrounding area.